KITCHENER, Ontario, March 8, 2019 – ​Join THEMUSEUM in discovering, discussing, and destigmatizing the natural process of menstruation through dialogue, art and a healthy dose of reality. FLOW | The Menstruation Exhibition is a collection of artist work, cultural artefact, and personal narratives, that tackle the taboo topic of monthly bleeding and reproductive health in a setting that removes the unnecessary shame from this important discussion. By encouraging conversation on an integral part of many people’s lives, FLOW will educate, create connections, and transform perceptions. Curated by Virginia Eichhorn, FLOW features a variety of artistic media including installation, performance, dance, paint, and embroidery. With menstruation as muse, the artists have challenged themselves to create pieces that are reflective, and address ideas and attitudes that relate to contemporary society. Alongside the artwork, FLOW will feature a visual installation on the increasingly urgent topic of menstrual equity, as well as a resource library of insightful works and technologies on menstruation. The exhibit is complemented by a robust set of programming that aims to educate and stimulate conversation about menstruation for all kinds of audiences, running from International Women’s Week and concluding on Menstrual Hygiene Day, May 28, 2019. In partnership with Diva International Inc., maker of the DivaCup, a global company headquartered in Waterloo Region who have revolutionized the menstrual care industry, THEMUSEUM is ready to showcase all things FLOW. “In our commitment to champion period enlightenment, Diva is proud to support this groundbreaking exhibit in our very own region. This exhibit brings together a variety of menstrual discourses — both the shaming and the empowering — together in one space for audiences to interact and join in the revolution of the menstrual movement. It is our hope that this exhibit will spark change in how people experience and think about menstruation,” says Sophie Zivku, Communications Manager at Diva International Inc.
It’s all about menstruation beginning this March at THEMUSEUM, continuing the conversation through May 28, 2019. FLOW | The Menstruation Exhibition is Sponsored by Diva International Inc. with Supporting Sponsor Shoppers Drug Mart. 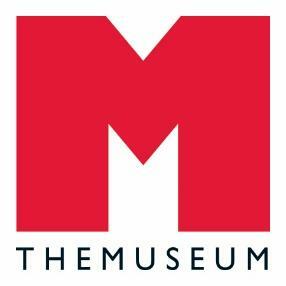 We are THEMUSEUM — oneword, UPPERCASE. We are a new kind of museum — one of ideas and experiences. No dusty objects, no collections, and no velvet ropes here. We are dedicated to presenting fresh, relevant cultural content from around the globe in unique and interactive ways that intersect art, science, culture and technology. We are a premier cultural destination and a hub for creative thinking and inspired play. Diva International Inc., maker of the DivaCup, revolutionized the international menstrual care industry in 2003 by being the first-to-market menstrual cup brand, making it a category leader. The DivaCup is the eco-friendly, cost-effective, and leak-free way to experience total period comfort. DivaCup’s mission is to champion period enlightenment by creating a better period experience for everyone. In addition to product innovation, Diva works to invest knowledge, time, and resources in educational, community, and international organizations that offer health care, empowerment, and menstrual health education around the world.